When Jesus met the woman at the well He told her that God actively seeks those who will worship Him. Have you sensed God seeking you? How do you respond to God when you sense the nearness of His Presence? 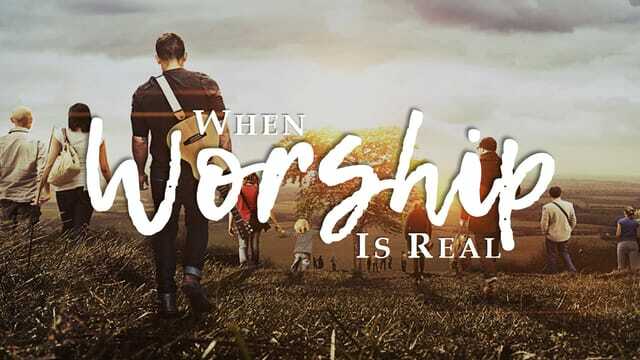 First, real worship must be ________ before it can ever be corporate. Second, personal worship is a matter of the _____. Love God with all your heart" means: Find in God a satisfaction so profound that it fills up all your heart. "Love God with all your soul" means: Find in God a meaning so rich and so deep that it fills up all the aching corners of your soul. "Love God with all your mind" means: Find in God the riches of knowledge and insight and wisdom that guide and satisfy all that the human mind was meant to be. Personal worship is our ________ to who God is, where He is, and what He has done. God wants to know the real you, not a caricature of what somebody else want you to be. He created you with a certain personality and a certain spiritual temperament. God wants your worship, according to the way He made you. Naturalists: Loving God out of doors. Sensates: Loving God with the senses. Caregivers: Loving God by loving others. Intellectuals: Loving God with the mind.